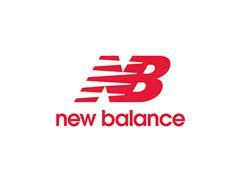 BOSTON, MA, October 21, 2014 – For spring 2015, New Balance and Kate Spade Saturday have teamed up to offer a capsule collection of performance footwear that will excite fashion and fitness enthusiasts alike. Picking up colors and patterns from Kate Spade Saturday’s bright and graphic spring palette, the collection will include multiple color and material options in the WX711 and WX811 women’s training shoes. The 711, a popular fitness trainer launched in spring 2014, was the first shoe to utilize the innovative CUSH+ midsole compound, offering all-day performance and comfort. Featuring forefoot flex grooves and thin TPU overlays on the upper, this shoe offers unrivalled flexibility and range of motion. As part of the New Balance by Kate Spade Saturday collection, the WX711 will be offered in multiple patterns and colorways: Kate Spade Saturday’s signature zigzag pattern, a multicolored “freestyle” print, a warm combination of rose violet and red, a vibrant pear yellow, and a classic blue with yellow accents. The 811, a new fitness trainer that debuts in February 2015, provides bonded, lightweight, strategically-positioned support for athletes. This versatile shoe is designed for female athletes engaged in a variety of workouts and fitness activities. The full CUSH+ midsole provides exceptional, lightweight cushioning to keep her going through her most strenuous workouts. The mesh upper is enhanced with Fantom Tape technology that delivers dynamic support to move with the foot. As part of the New Balance by Kate Spade Saturday collection, the WX811 will be offered in a heather jersey with colorful Fantom Tape, as well as a version featuring a black upper and zig-zag patterned CUSH+ midsole. Both styles will retail for $95.00 each in the US, and will be available starting in February 2015. In the US, the collection will be available at NewBalance.com, Saturday.com, select New Balance stores, and Kate Spade Saturday stores (see below for listing of store locations). The collection will also be available at New Balance stores in Japan, and Kate Spade Saturday stores in Japan and Singapore. The sister brand from kate spade new york, Kate Spade Saturday aims to channel the carefree spirit of the weekend and bring it to every day of the week with bright colors, graphic silhouettes, and bold prints. Putting its own spin on casual, Kate Spade Saturday creates product that is equal parts style and function, from versatile travel bags to go-anywhere dresses to smart lifestyle items. The first Kate Spade Saturday store opened in March 2013 in Tokyo’s Omotesando district, and was quickly followed by five more stores throughout Japan. The brand launched in the United States exclusively online at Saturday.com in Spring 2013, and has since opened stores in New York City, Los Angeles, Houston, Honolulu, Boston, Washington DC and Singapore. Kate Spade Saturday is owned by Kate Spade &amp; Company (NYSE: KATE).